A new build in Oxfordshire proves a showcase for Larch Cladding. 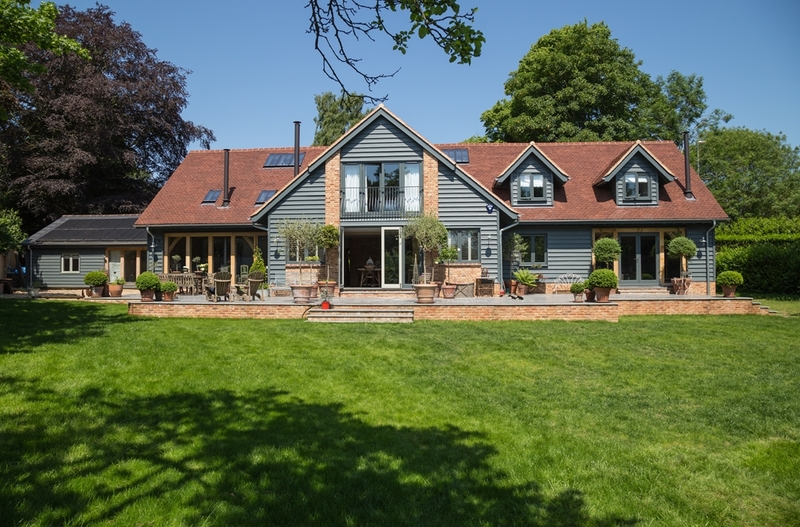 A recently completed new build in Oxfordshire shows the versatility of using Siberian Larch cladding as an exterior cladding product. Here cladding has been used as a great contrast to the tiled roof and bare timber. It has been treated with the 3 coat painting system by Teknos and applied by vacuum coater in our factory unit. The result is stunning! For more information on cladding give our sales team a call on 01472 350151.